Heat oven to 450°F. 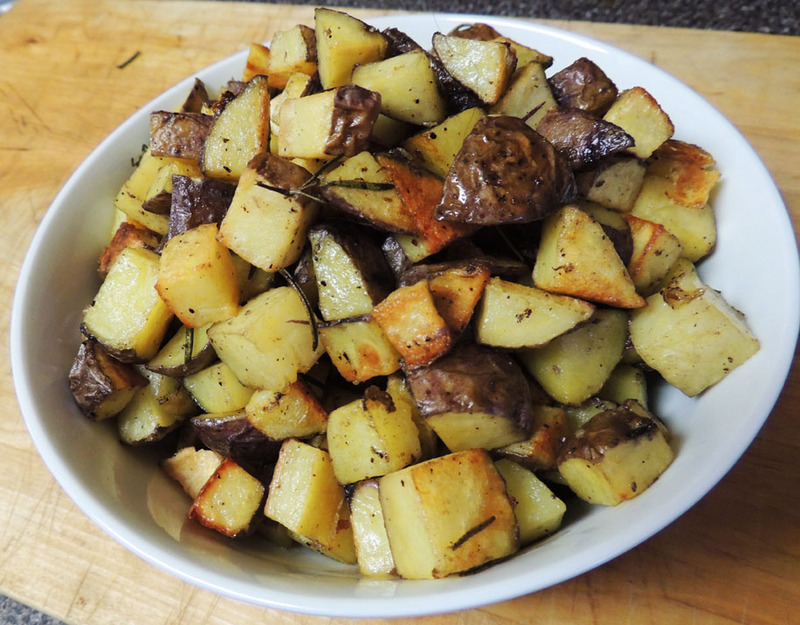 On a large rimmed baking sheet (or two smaller baking sheets), toss parsnips, rosemary, and potatoes with oil and season generously with salt and pepper. Spread in a single layer. Roast until tender and golden, tossing once or twice, about 30 minutes. Serves 4. Potatoes and parsnips in a single layer on cookie sheets just before going into a hot oven.